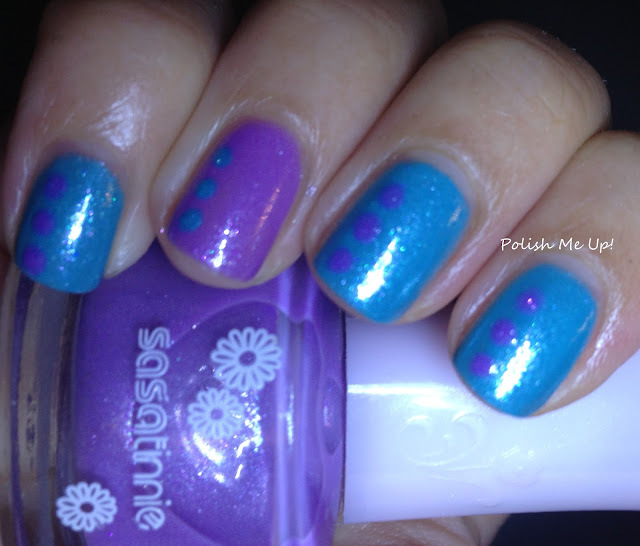 Sasatinnie, a local Hong Kong cosmetic brand, has come out with two new polishes, Q751 and Q754. Q751 is an aqua blue foil, and Q754 is a soft lavender foil, where both polishes have prominent pink and blue shimmers that make me fall in love with them. I did an accent nail with Q754 and added some dots to make my mani more interesting. 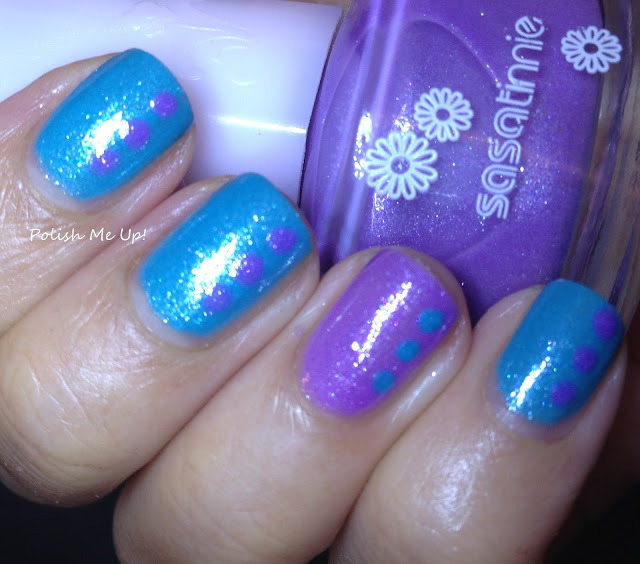 I noticed that when I added dots using the lavender foil over the aqua foil, a gorgeous periwinkle like shade is created. I will definitely try to do a full mani layering one polish on top of another next time, because what is better than combining periwinkle and shimmer, my two favorite things together when it comes to nail polishes? This manicure combination made me sooo happy to look at. Your dots are perfect and these colors are so lovely. I can't wait to see the layering combination!